Videos Will Now Appear On Google Maps And Local Search Listings. Why Do You Need Google My Business Listing? For Building Prominence in Search Results:- Every Organization wants to grow in a sustainable manner be it online or offline. It is very important for any company to make an impact on the Internet in the 21st So they shell out a big amount of money to out beat their competitors online. The most promising organic way to out beat any competitor online is Local Business. In order to build a noticeable impact, companies need to optimize the Local Business Search Results to reach the greater audience. It Makes Easier For The Customers To Find You:- A potential user of any product or services keeps on finding new trends. They search through their desired queries relevant to the product and services they need. By optimizing your Google My Business it will become easier for the customers to find you locally. Helps To Build Credibility Amongst Users:- Through constant interaction with your customers, it builds a sense of credibility amongst them, that this business is a trustworthy business and they are comfortable with that. A credible business is a key to a making a sustainable business. Company’s fate is decided by how people feel about your products and services. Reinforce Your Search Presence:- A Company can build their reputation by constantly uploading stats about their growth in Google My Business section. They can constantly communicate with their users by engaging them on the reviews section and give an interactive video about the workplace and the working environment. This in return will turn out to be a boon for building trust with your user base. Gives Insights Of Customer Behaviour:- Google My Business provides the utility to every business owner about the insights of customer behavior and their engagement with your pictures and videos. It also provides the details of user engagement with your competitors and hence helping in finding the comparison metrics with your competitors. 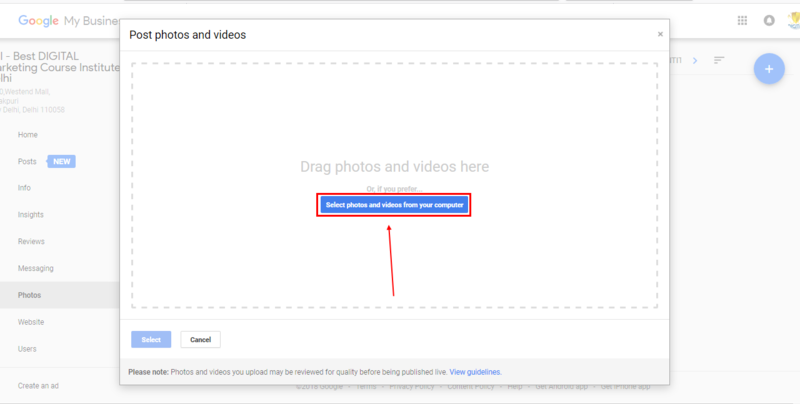 Google My Business team recently announced that the video upload feature which was being tested is now available for business owners in the Google My Business dashboard. Business Owners can now upload the videos of their businesses of up to 30sec, it can take upto 24 hours for the video to be visible. Business Owners now can post appropriate videos related to their business for getting more user base. Go to ‘Photos’ section of your Local Business Dashboard section. Select the ‘Video’ option in the element panel. Select the ‘Upload’ option from the element list. After hitting the Upload option select the ‘Select Photos and Videos from your computer’ option and choose the video to be uploaded. 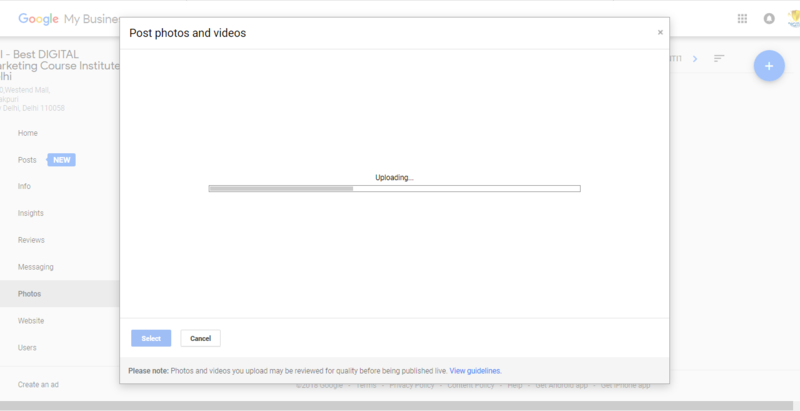 A video upload progress bar would be initiated to signify the uploading of the video. Your Uploaded Video would look like the above example. Its free:- A free marketing tool which provides the utility for the business owners to showcase their products and services via uploading video absolutely free. Better Visibility:- For Showcasing more details about your Business and Services its better to upload the Video of your business area, which would give vibrant details. Display Useful Information:- You can upload useful information to your user base like important events, news about your new products and services etc which would build trust amongst your users. You can upload information like your working hours, work culture and how you deal with your customers. Track Website Traffic and Audience:- Through the video uploading feature you can now track the analytics of your uploaded video views in the ‘Insight’ button. Actively Respond To Reviews:- Your consumers would give reviews about your products and services whether they like it or not on your Google My Business review section. This would allow you to actively respond them and initiate a discussion about why they liked or disliked your products and services. 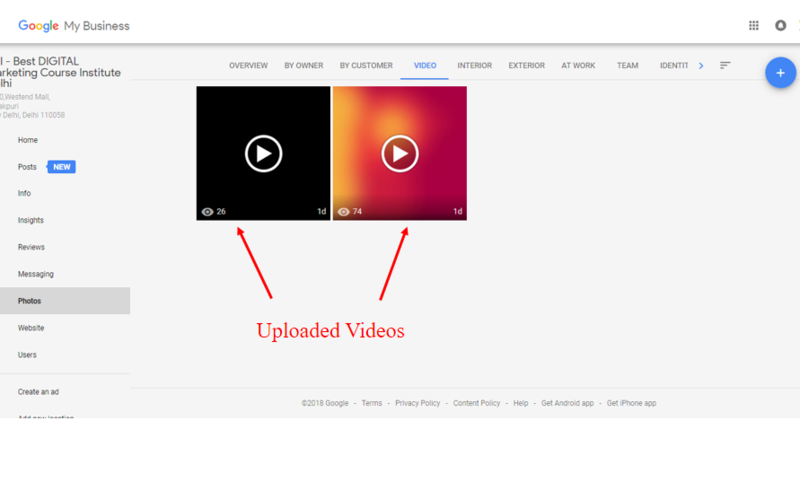 As per the Google my business update we have the utility to upload videos upto 30sec in the palette section. 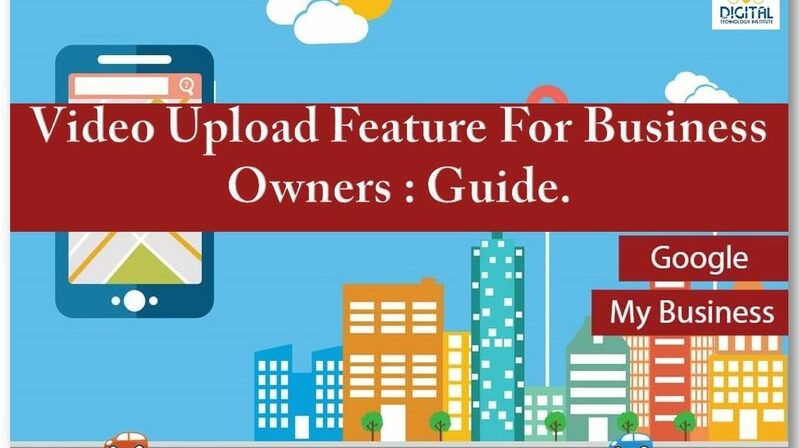 The business owners have the utility to upload there video files for the betterment of their businesses so that they can reach a wider section of users in a better and faster way.